On Sunday, 29-year-old Russian national Maria Butina was arrested and charged with being an unregistered agent of the Russian government while trying to influence the 2016 presidential election. Ever since, people online have been combing through old photos of Butina posing with American politicians. But one photo has gotten a lot of attention today. 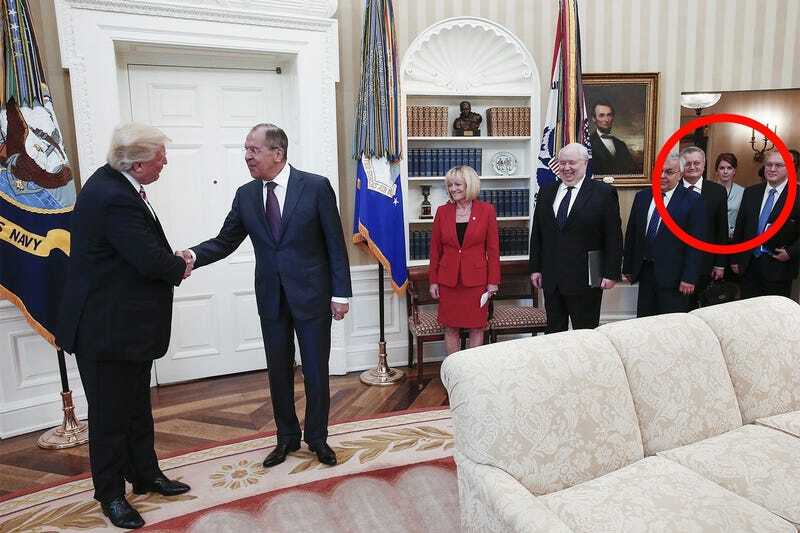 It purports to show Butina just outside an Oval Office meeting with President Trump on May 10, 2017. The only problem? It’s almost certainly not her. President Trump raised a lot of eyebrows back in May of 2017 when he fired FBI director James Comey and then invited Russian Foreign Minister Sergey Lavrov and Russian ambassador Sergey Kislyak into the Oval Office. Photos from the meeting eventually leaked out because the White House banned American reporters, but allowed a Russian photographer inside. But was Butina there? 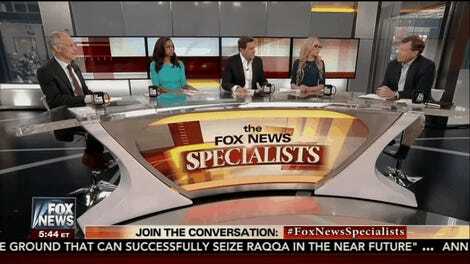 As you can see in the far right corner of the photo above, there’s a woman with red hair who looks a bit like Butina. But when you put photos of Butina next to photos of the woman in the White House, it’s clearly not her. A former White House staffer reportedly told The Daily Beast’s Lachlan Markay that the photo might show Cari Lutkins, the White House’s deputy director of events. But in our opinion, Lutkins doesn’t look that much like the woman in the photo. Buzzfeed News reports that a National Security Council source says that the woman is a NSC staffer, but the woman hasn’t yet been named. So who really is the mystery woman? One thing that could potentially clear all of this up would be the White House visitor logs that are kept and were released during the previous administration. Unfortunately, the Trump regime stopped the practice of releasing visitor logs. After President Trump’s press conference with Vladimir Putin in Helsinki yesterday, it’s safe to say that Trump is way too friendly with authoritarian governments. The Russians could even have compromising information on Trump. But when it comes to Maria Butina, she wasn’t at this May 10, 2017 meeting at the White House, as far as we can tell. Yes, Butina did in fact ask President Trump a question about Russian sanctions at an event on July 11, 2015 during the presidential campaign. And yes, countless other American politicians met with Butina as she was allegedly trying to establish a backchannel between the Trump campaign and the Kremlin. And yes, the FBI says Butina did this by fostering a relationship with an unnamed “gun rights organization” that sounds a lot like the NRA. But no, that photo from the White House isn’t of her.